He retired as a Captain from the Tampa Fire Department, spending several years as the master of the Department’s fireboat. He was an active member of the Tampa Sailing Squadron teaching Sea Scouts, youth sailing, etc. He loved sailing, and boats were his life. He is survived by his wife Ruth Bettinger and his daughter Carol Bettinger. He is predeceased by his son Mickey, who was in the active Coast Guard when he died. They were both sailors at heart and had “saltwater” in their veins. His mass will be on Saturday, Feb. 9, at 11 a.m., at St. Anne Catholic Church in Ruskin, Fla. and his burial will be at Hillsborough Memorial Gardens. There will be a “Celebration of Life” on Sunday, Feb. 10, at 2 p.m. at the Tampa Sailing Squadron in Apollo Beach, Fla. In lieu of flowers, please make a donation to the Tampa General Hospital Burn Unit, www.tgh.org/services/burn. Arrangements for the ceremony are being taken care of by Sun City Center Funeral Home. Neva Hart Getman lived in Michigan with her first husband, Neil Severn and two daughters Nancy and Jessica. Neva taught science in Michigan and was a substitute teacher in Hillsborough after moving to Sun City Center in 1992. Neva served as president of the Audubon Society, was a member of the Outrageous Women and served on the board of directors for Caloocan Woods. She is survived by her second husband George Getman and by her daughter Dr. Jessica H. Stone. Janet “Jan” Glass passed away Monday, January 28, 2019. She is survived by her husband James W. Glass, daughters Robin Pentz and Karen Humes, grandson Matthew and great-grandson Landon. Born in Baltimore, Maryland, she resided in Sun City Center since 1997. She loved horses, held an AA degree in Early Childhood, worked as a preschool teacher and an insurance service representative. She was active in her church and many organizations. A memorial service will be held Friday, February 1, at Redeemer Lutheran Church. Ronald H. Hall, 84, a retired Police Captain from Lakewood, Ohio, lost his battle with Alzheimer’s after 14 years of struggling with this terrible disease. Ronald (Ron) was a laid back, easy going, and soft-spoken man who made others smile when he did. He and his wife Diane have lived in Sun City Center for several years and have made many wonderful friends. Father, Grandfather, Great-Grandfather devoted husband and friend to all. May he Rest in peace. A memorial service will be performed at the United Methodist Church of Sun City Center on Friday, February 1, at 2 p.m.
Dorothy moved to the Tampa Bay area in 1972 and lived in the Baycrest subdivision, and then retired to Sun City Center. It was here that Dorothy discovered a passion for golf that she shared with John and friends. Dorothy is survived by two children, Robert (LuAnn) Morris of Lawrenceville, Ga. and Mary (Robert) Sinibaldi of St. Petersburg, Fla.. She has four grandchildren, and seven great grandchildren. 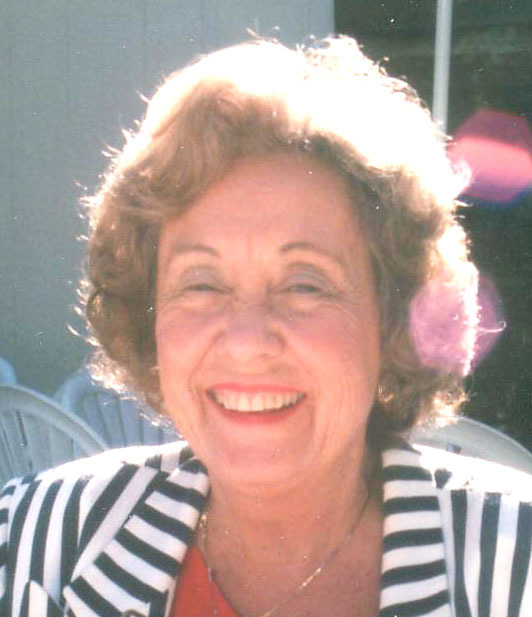 Eleanor Matulewicz Pessolano, 92, of Sun City Center, Florida passed away on January 13, 2019, at South Bay Hospital. She was the devoted wife of the late Edward J. Pessolano for 63 years. She leaves behind a son, two grandchildren and several nieces, nephews and cousins. Eleanor was a dedicated member of Prince of Peace Catholic Church. Born and raised on Staten Island, New York, she moved to Florida in 1988. She loved dogs and all kinds of needlework. A Mass of Christian Burial was celebrated at Prince of Peace Catholic Church on Monday, January 21, 2019, at 11 a.m. Eleanor will be laid to rest with her husband Eddie at Sarasota National Cemetery in a private ceremony. Arrangement by Sun City Center Funeral Home, 813-634-9900. William Allen Schofield (Bill), 93, died on Sunday, January 20, 2019, at his home in Florida. Bill was born on May 23, 1925, the son of the late Kathryn Luckett and William Allen Schofield. He was predeceased by his brother John P. Schofield and sister Regina “Jean” Schofield O’Brien. He is survived by his sister Beatrice Ransom of South Carolina. He was a graduate of Norwalk High School, Class of 1943 and participated in many varied athletic programs in the Norwalk area including basketball, softball and football. Bill was the loving husband of Monica Korman Schofield. They were married 71 years and have four children: Their daughters Marylouise Schofield Black of Connecticut, Kathryn Lund of Virginia, Monica Glenn of Georgia and their son William “Bill” Schofield of Connecticut. He is also survived by six grandchildren and 14 great-grandchildren. For 33 years Bill was the Vice-President of Sales at Wilton Motors Corporation in Wilton, Conn. and the President of Fairfield County Car Leasing. 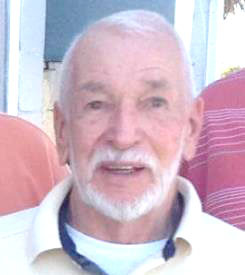 He and his wife Monica were residents of Norwalk, Conn. and Wilton, Conn. for 47 years. Bill was most proud of his military service during World War II as a submarine torpedo man on the USS Flounder #251 in the Pacific. 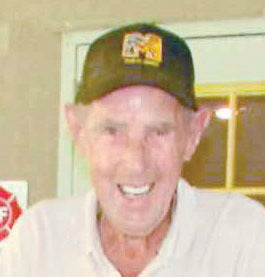 He was an active member of the Submarine Veterans of World War II and American Legion Post 86 in Wilton, Conn.
Bill was an avid golfer both in Connecticut and upon his retirement in Florida. He competed in local tournaments in his golf association and won championships. Another claim to fame was his intense dislike of any vegetable other than peas and his insatiable sweet tooth. Most of all, Bill was a devout Roman Catholic and family man — a true gentleman who loved God, his family and his country — the personification of goodness. A memorial Mass was held on Monday, January 28, 2019, at 10 a.m., at Prince of Peace Roman Catholic Church, Sun City Center, Fla. A funeral Mass will be held in late spring at St. Patrick Roman Catholic Church in Redding, Conn. In lieu of flowers, donations may be made to Good Samaritans, Sun city Center, Fla.